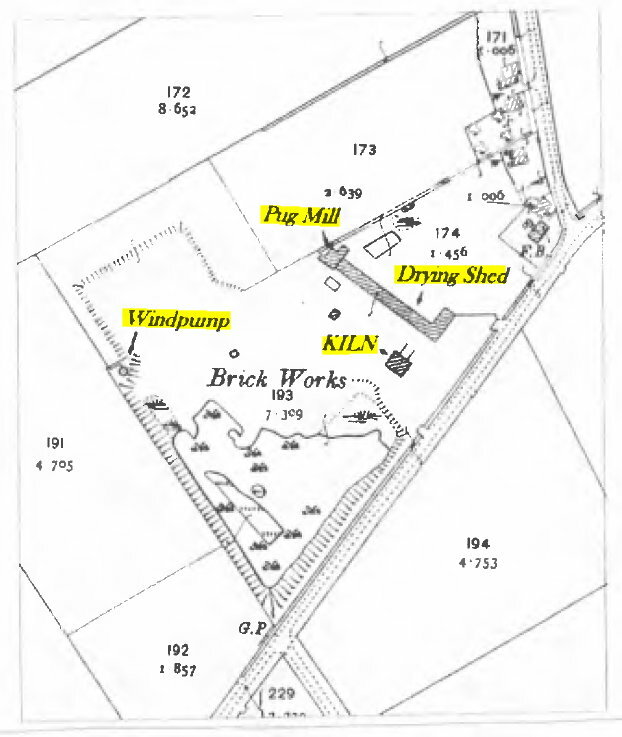 HISTORICAL: Information Report 108 about Some Brick Kilns and Brick Makers of East Lincolnshire. By. Ken Redmore. Wind Pump TF 502 807. 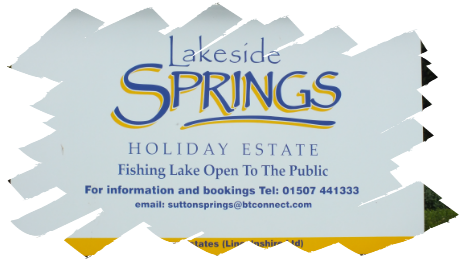 I recently spotted a road on the outskirts of Mablethorpe & Sutton on Sea called Brickyard Lane which led to the A1111 and in turn to an old brickyard site which is now the LAKESIDE SPRINGS HOLIDAY PARK complete with its own ornate fishing lake. At the far end of the lake to the left viewing from the road is the remains of a wind powered water pumping engine and near to the site office car park is the remains of the brick kiln. Armed with the 1890’s map of the site I asked for permission to view and photograph the remains of the site which was readily granted. The site is a beautiful and well maintained one with friendly staff and the day was in keeping with this formula too. The wind pump has all its workings intact (with the exception of the sails) inside in a well preserved state. This was used to supply water from an underground source to mix with the clay and was housed in a stout building which did show a few signs of its age but would not take much to put right. It was a popular ‘peg’ for one of the local fishermen who had been using it for several years. The remains of the brick kiln was in a little poorer state and had been used for storage over the years but as it was a little insecure it had been designated a ‘no go area’ and cleared out by the owners, however it was still in a remarkable state for its age. It showed some of the bricks that were made here in the repairs that had been made to the structure over the years. It was reported to me that a grant was being sought to fund the preservation of the site, a worthy cause to protect these valuable industrial buildings for future generations to see, visit and touch. May I wish them well on this grant aid application and thank the owners for allowing me to visit the site. In 1955-1956 a licence was granted under the ‘Ministry of Housing and Local Government Water Act of 1945 to extract water from a well’ (via a new borehole) ‘at the Fish Ponds, Sutton on Sea’. The licence went on to state that no more than 4,800 gallons of water could be extracted from here in any 24 hour period starting at midnight. (14/1/1955). The borehole for the well was done by Vickers and Sons to a depth of 100 feet from the surface using a 2 inch diameter pipe. (January 1955). The water level on completion was 1 foot below the surface level. (13/6/1956). It passed through: 67 feet of clay (to 67 feet below surface level). 4 feet of sand (to 71 feet from the surface level). 21 feet of chalk (to 92 feet from surface level). Alkalinity 260 ppm. (Parts Per Million). Hardness 300 as CaCo3. (Calcium Carbonate). Information on the borehole from: British Geographical Survey. 2. Filling and maintaining levels of water in the fishing pond. The latter being the more likely scenario.